Individual BW Educators are eligible to place an order at wholesale price once per year. Educators do not need to provide proof of training, but do need to provide a website/social media link showing their work within their community. A personal reference may be used in place of this. Educators will be provided with a list of colors to choose from based on stock levels. Limit 3 slings per order. Babywearing Groups will be eligible to place 2 wholesale orders per year for lending/learning library use only. Groups will be asked to provide a website/social media link showing their work within their community. Groups will be given a list of colors to choose from based on stock levels. Limit 5 slings per order. These groups are eligible for bulk buys of an unlimited number of slings to be used strictly for educator/volunteer use when stock levels allow. 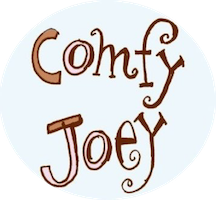 Comfy Joey will offer colors for this buy based on stock levels. Individual chapters will still be eligible for the BW group offer as well. 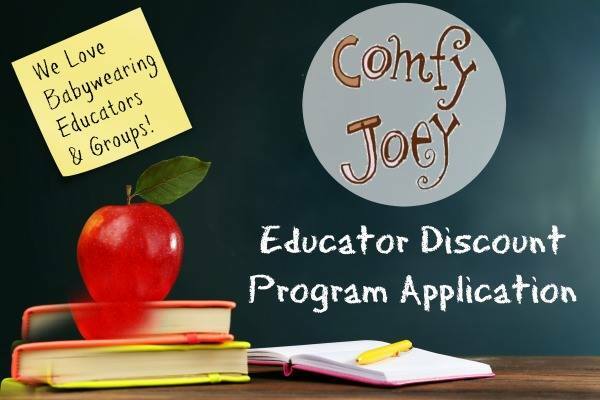 Please email ComfyJoeyTeam@outlook.com to begin the process.